A New York restaurant owner pleaded guilty in federal court in San Diego Friday to conspiring to smuggle black abalone and a regulated type of sea cucumber into the United States from Mexico. 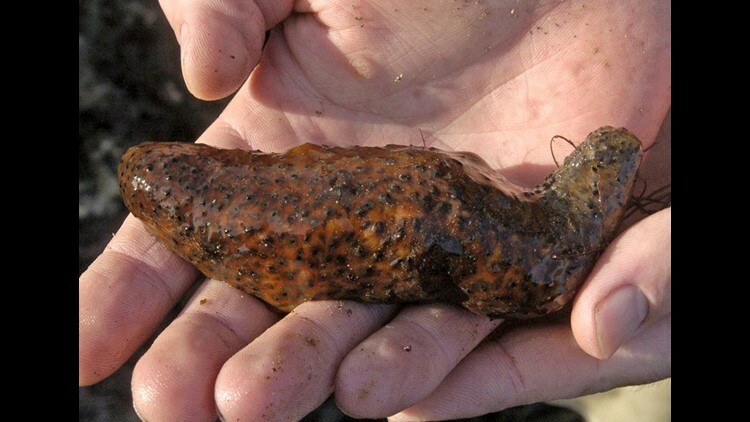 SAN DIEGO (CNS) - A New York restaurant owner pleaded guilty in federal court in San Diego Friday to conspiring to smuggle black abalone and a regulated type of sea cucumber into the United States from Mexico. In entering his plea, Alan Ren conceded that he conspired with another defendant to smuggle around 83 pounds of frozen black abalone, an endangered species, and about 172 pounds of sea cucumber, which is protected by the Convention on International Trade in Endangered Species, according to the U.S. Attorney's Office. The owner of two Chinese restaurants pleaded guilty to smuggling, unlawful importation of wildlife and conspiracy. He faces as much as 30 years in prison and $750,000 in fines when sentenced Jan. 12. Prosecutors said Ren, 48, reported that he operated a seafood business in which he employed co-defendant Wei Wei Wang to handle the finances. Ren admitted that he drove into the United States a minivan, with Wang as a passenger, that contained 250 pounds of seafood hidden in three suitcases and a black plastic bag, prosecutors said. In his plea agreement, Ren said he intended to deliver the abalone and sea cucumber to others in the U.S. to complete a commercial transaction. He also agreed to pay Mexico $16,600 in restitution for illegally exporting the fish. Black abalone has been listed as endangered since its population was reduced by 80 percent in the 1980s due to disease. The type of sea cucumber at issue in the case is the only one protected under the convention. The U.S. requires a permit to import the species, along with a certificate from the country of origin. Wang's trial is pending, according to prosecutors.